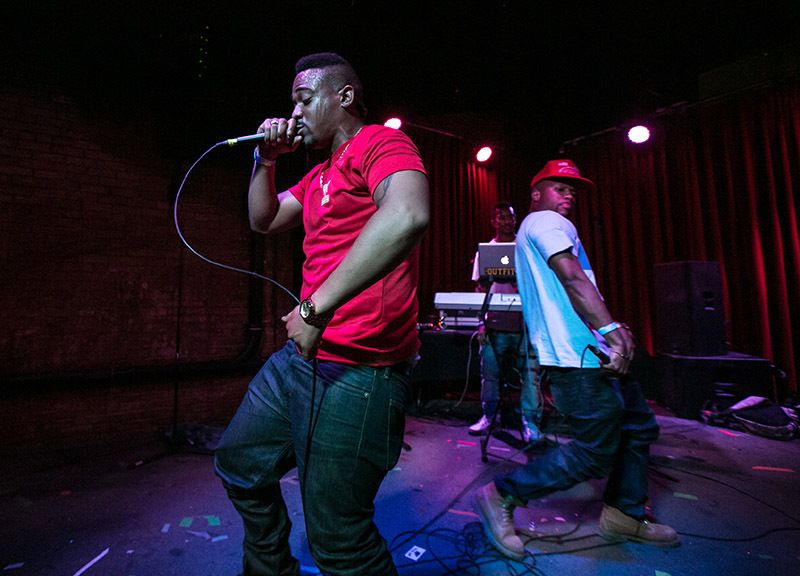 Scenes From Saturday Night's Da Mafia 6ix Show at Dada. 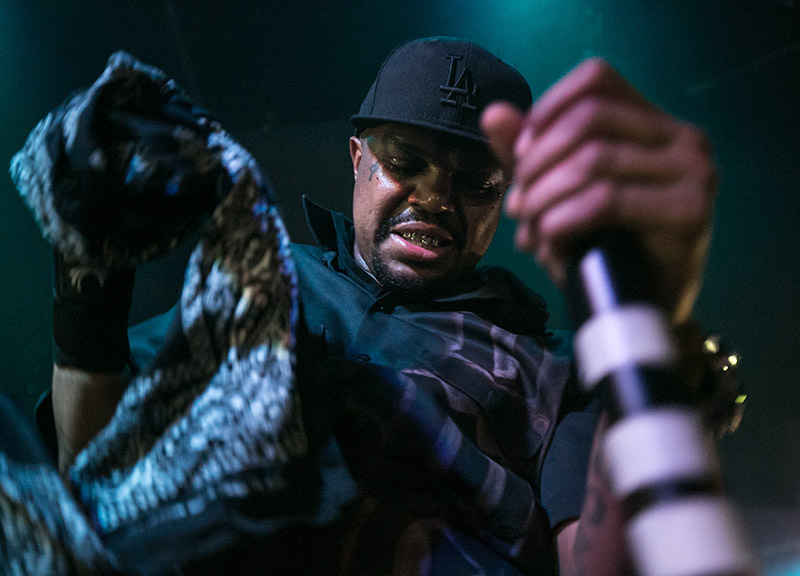 When five of the six members of Three 6 Mafia announced a reunion under the name Da Mafia 6ix last year, we'll admit it seemed like a pretty interesting idea. He's part of mainstream America now. With help from Lil Wayne, Wiz Khalifa, Miley Cyrus and Katy Perry, he's evolved into something even bigger than before. With its own announcement, there was a kind of hope that the members of Da Mafia 6ix would similarly reignite their own careers. 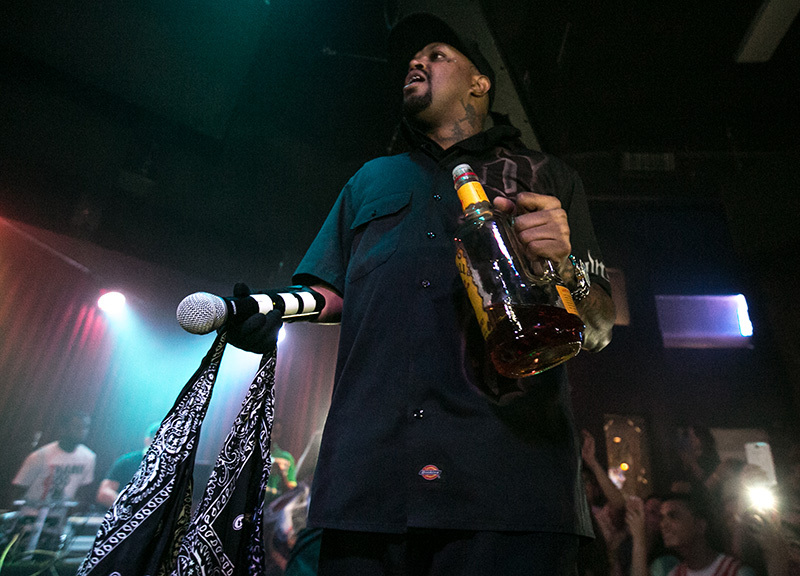 In November of last year the re-branded group released the 6ix Commandments mixtape, which featured a guest appearance from Juicy J but still failed to produce much buzz. 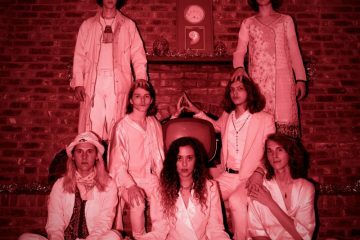 Between that release and last Saturday's show, though, the group lost a few more members. 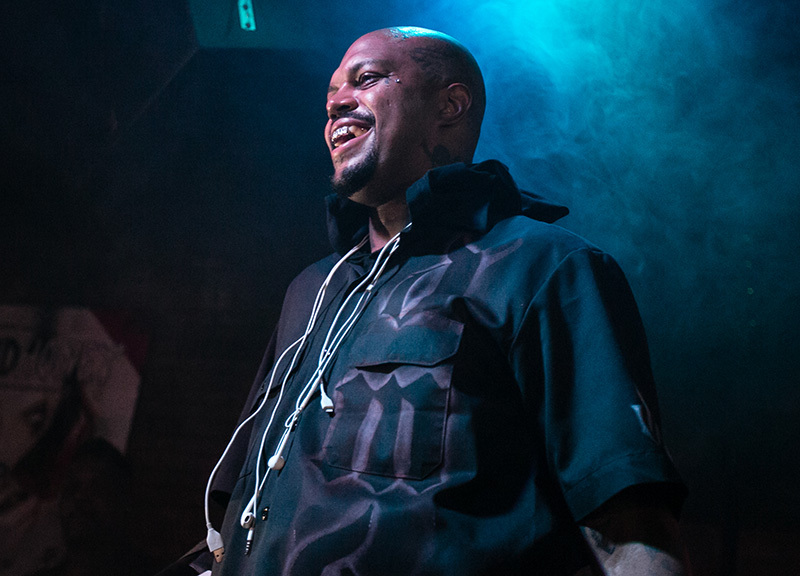 First Lord Infamous died of a heart attack back in December. 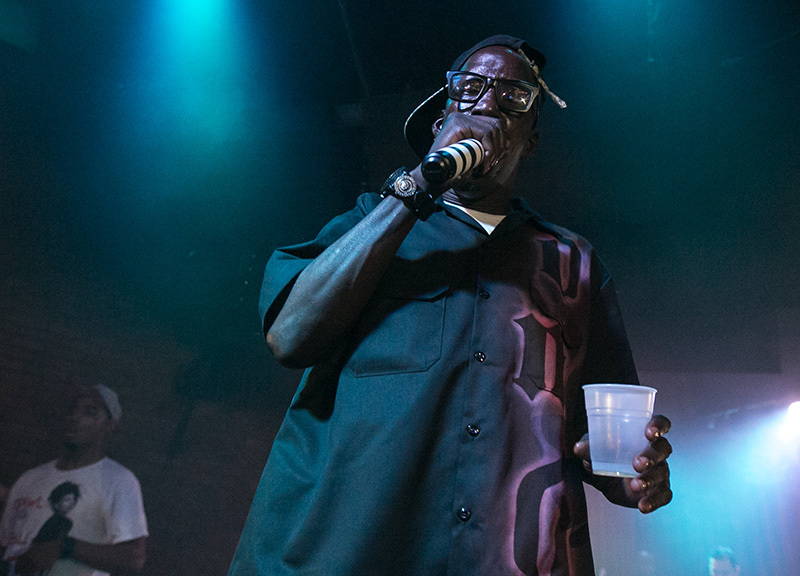 Then Gangsta Boo left the outfit in May to pursue a solo career. Meaning? 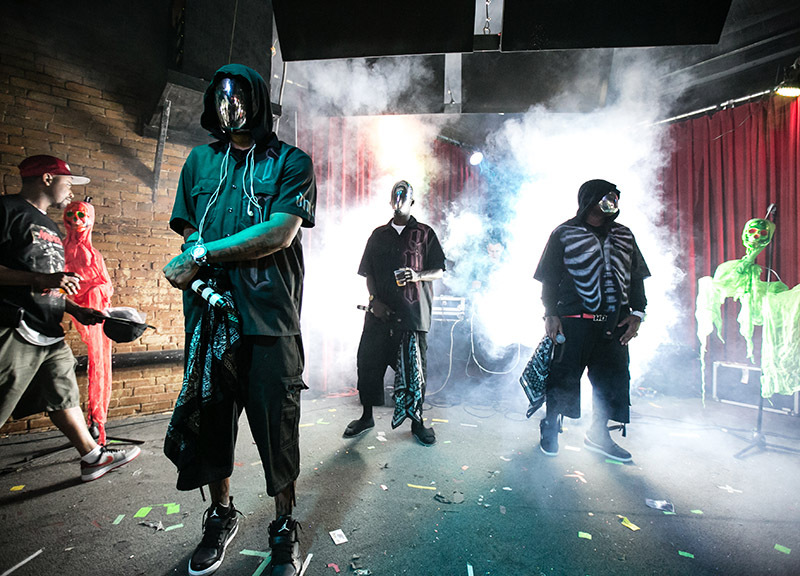 All that's left of the group is DJ Paul, Crunchy Black and Koopsta Knicca. 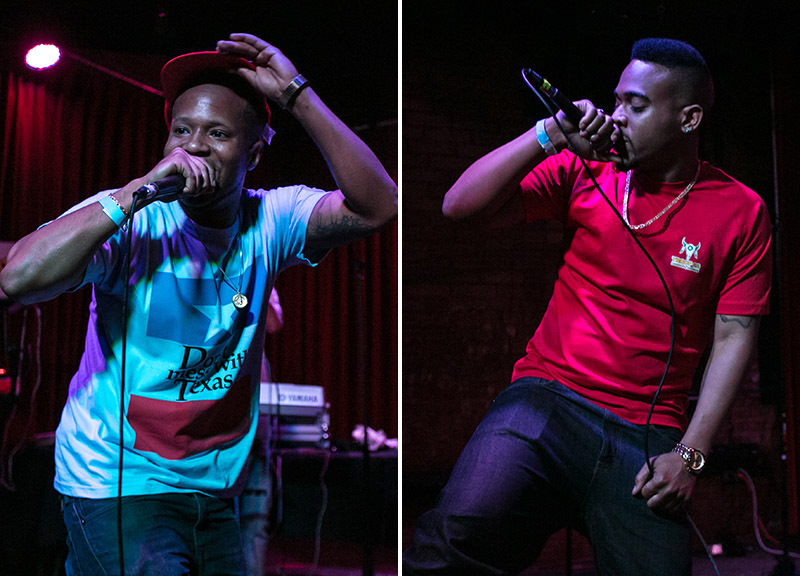 In a refreshing turn, though, the trio's performance at Dada this past Saturday night followed the standard show format: three local openers in Word Life, Tunk and The Outfit, TX, followed by the headliners. It sure beat having to sit through a dozen openers, which has become pretty commonplace for these types of shows of late. Unfortunately, the headliners were the ones who ended up slowing things down. 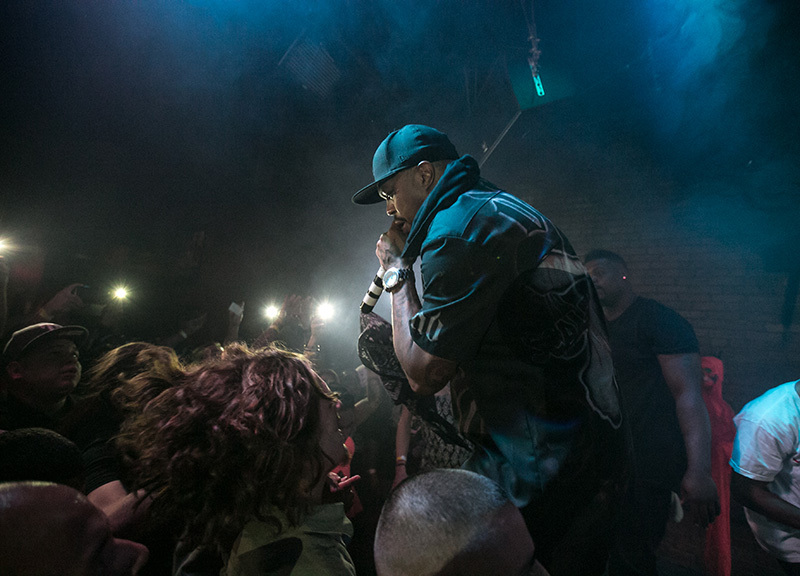 It was around 1 a.m. when Da Mafia 6ix finally took the stage in a rather animated fashion, wearing ghoulish masks and accompanied by a dense fog. 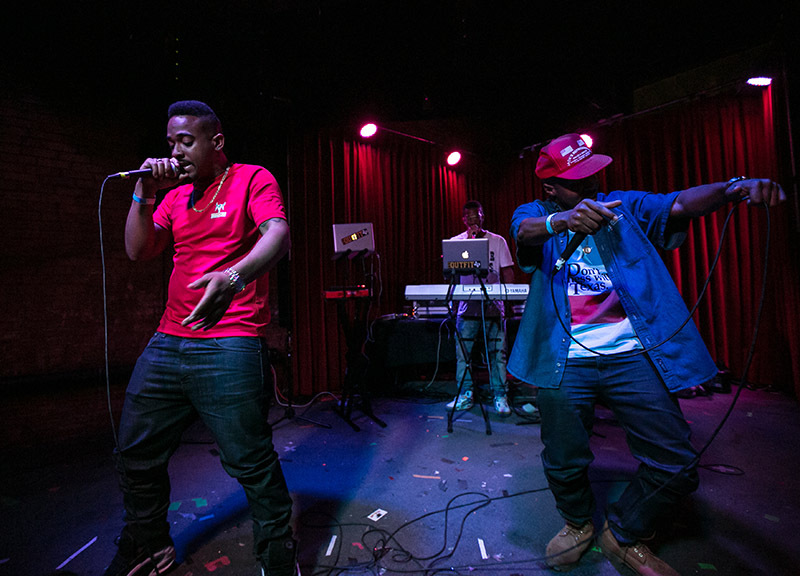 After removing their masks, the show started with “Break Da Law,” which would end up being the only track from 6ix Commandments. 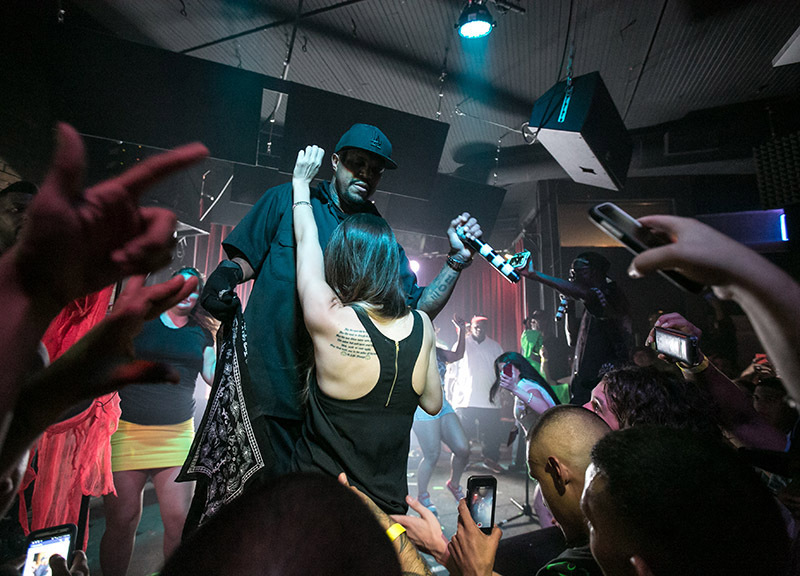 As fervent as the crowd appeared, it was pretty apparent they really just wanted to see Three 6 Mafia and figured this would be the closest they'd get at this point. 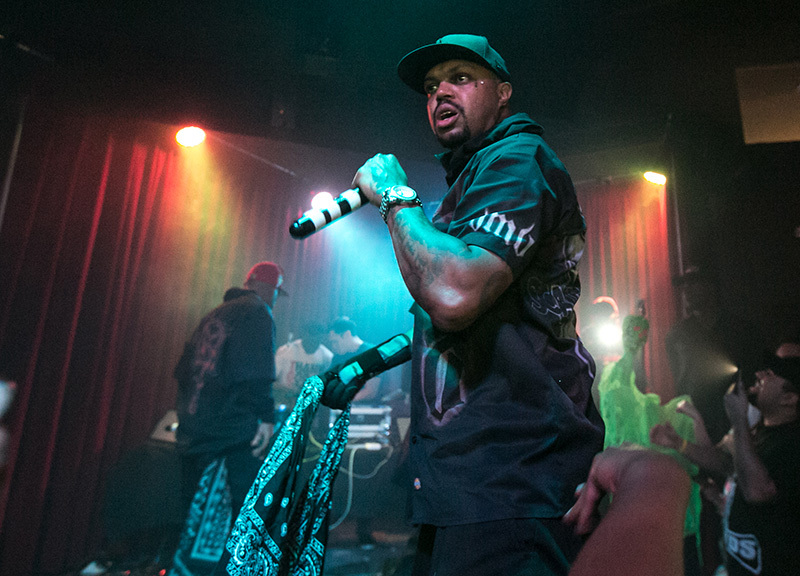 Considering he's the only member of Da Mafia 6ix who was in Three 6 Mafia for its full run, DJ Paul was the conductor of the evening and a jovial one at that. When the sound went out at the beginning of the set, Paul, being the old professional he is, kept the crowd engaged by offering up shots of whiskey to those in the audience with ID in hand. Aside from acting as the evening's conductor, Paul was pretty much the only emcee on stage. 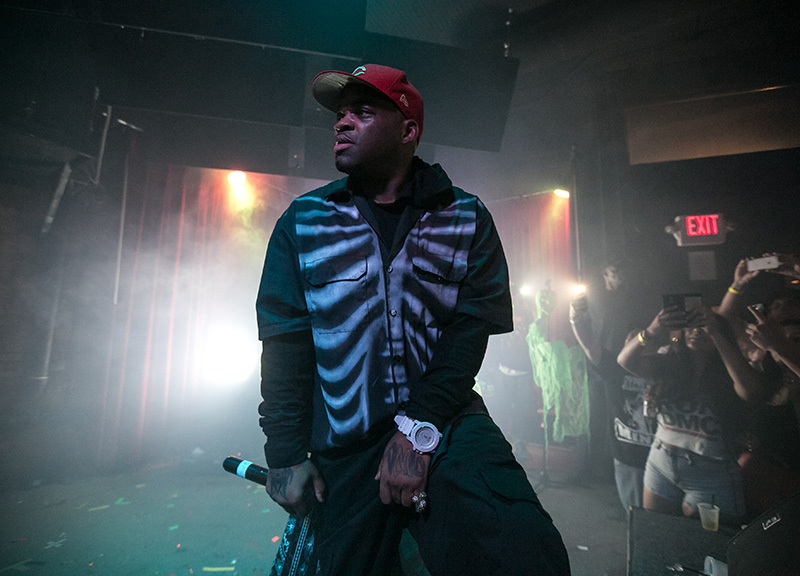 Koopsta Knicca, too, is an original member of the group, but when Three 6 Mafia hit its stride in the national scene in the early 2000s with albums such as When The Smoke Clears, Da Unbreakables and Most Known Unknown, Knicca was absent from the group. 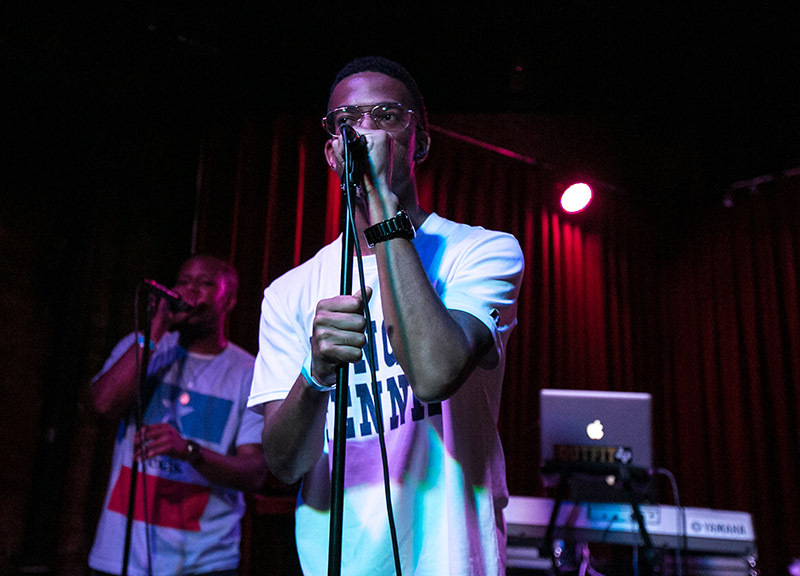 He took a back seat through most of the set considering he didn't have many verses except on early cuts such as “Late Nite Tip” and “Tear Da Club,” but was overall irrelevant on the stage. 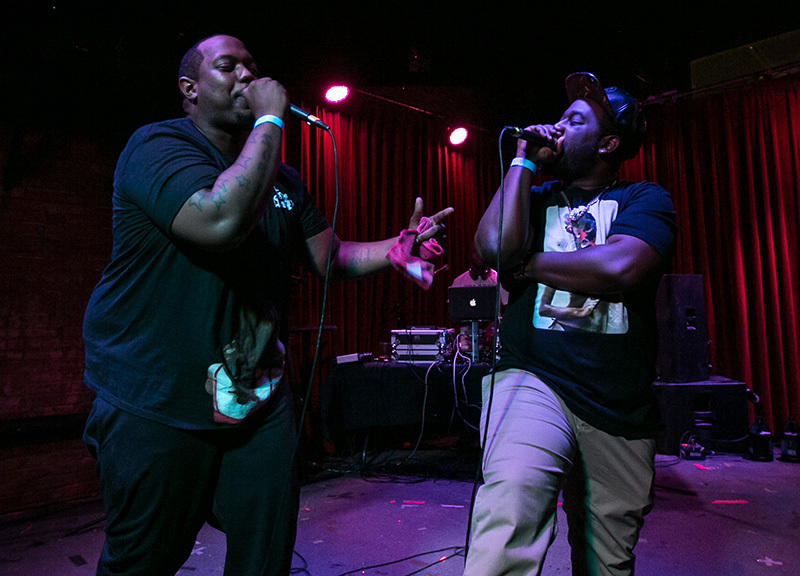 Paul did his best to include Knicca, pointing out that he's originally from Dallas, but slighted him in a way stating, “Only problem is we can't keep him out of jail.” Knicca, of course, rejoined the tour on Saturday after being released from jail earlier in the week. 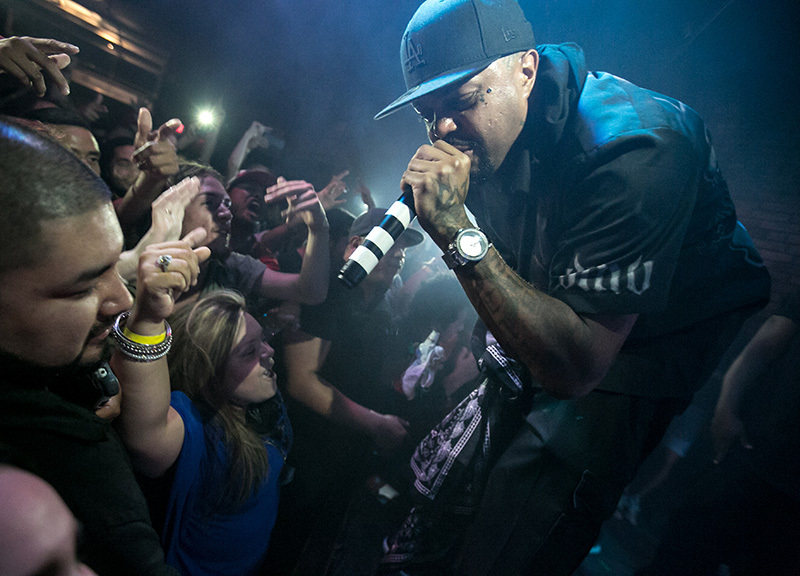 Da Mafia 6ix's reunion tour comes across as DJ Paul working hard to keep his career afloat, alongside members of Three 6 Mafia, who were in and out of the group anyway during its peak. It's a shame to see because Paul works the stage and offers a performance for the audience worthy of praise. He only suffers these days because of the lack of a capable supporting cast. If only Juicy J was there to help. Next ArticleThings To Do On Tuesday, August 5.